Only did one report on day 2 but if you wanna see pics/ words about the other collections, click the link below! 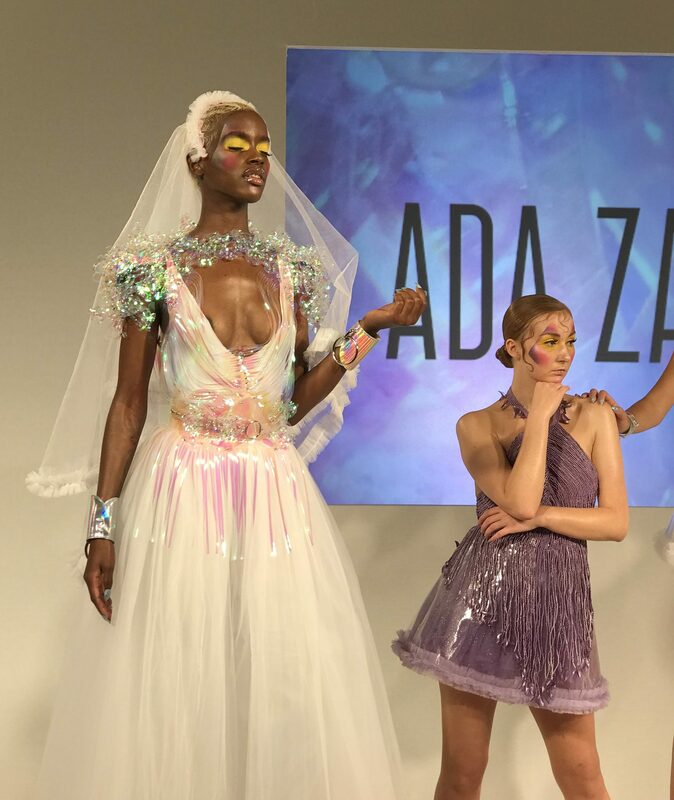 Ada Zanditon’s SS19 offering is a holographic wonderland of reflective pinks, purples, and silvers. Harnesses and bralets dominate this season’s collection (and to be honest, I want all of them, oh my) but the dresses are also beautiful in a more ornate and elegant way. Influences from the digital age can be seen throughout in graphic style lines and sculptural elements and although the pieces are undeniably contemporary, a sense of futurism is also employed. We see a rare combination of fetish and fun; it’s provocative club-wear for the hopeful daydreamer. The detail on every piece is also stunning- items have been hand-cut and each rivet is embellished with a crystal. 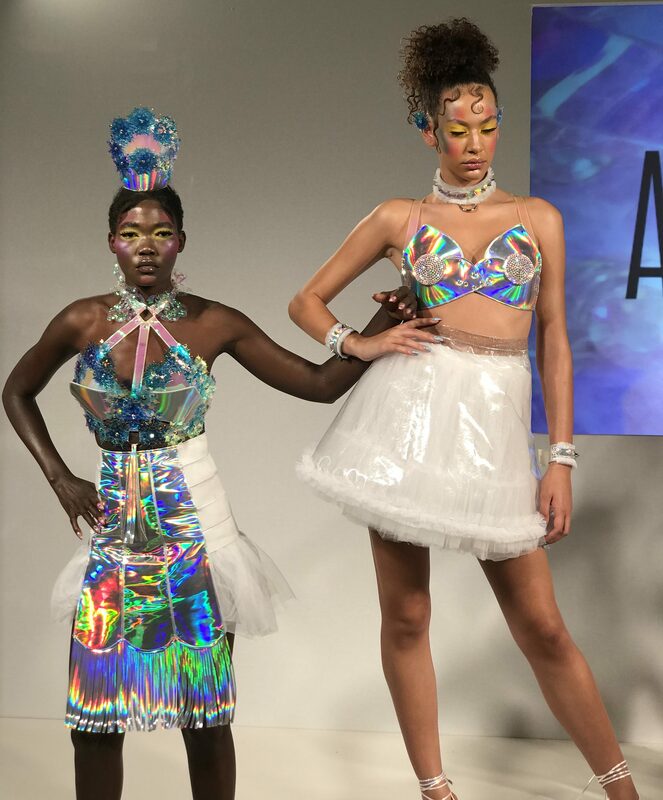 This presentation was also a collaboration with Astrid Kearney and the London School of Makeup. Each makeup look is bold whilst remaining feminine and conveys a sense of strength as well as a touch of fantasy.